This article marks the beginning of the “In the Trenches” series, which examines the efforts of average Catholics to combat the culture of death. If you have a story to share, a victory to highlight, or a promising pro-life project, e-mail Philip Primeau at philipryan.primeau@gmail.com. Although the fight to abolish human abortion is far from over, we may thank God that crisis pregnancy centers now outnumber abortion clinics 5-to-1. Today, there are 4,000 such operations across the country, all of them working tirelessly to spread the gospel of life. Among this host is the Mother of Life Center, which has been counseling and supporting anxious women for more than two decades. Founded in 1984, it entered a new era upon relocating from a rented office to a spacious two-story home on Federal Hill in Providence, RI. This new phase had a propitious start. The Federal Hill site was chosen because it abutted one of the city’s two abortion mills. The move occurred in January 2004. 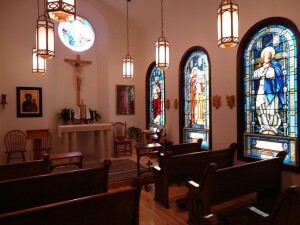 Several months later, the in-house chapel saw its first Mass: exactly forty days later, the abortionists closed up shop. 40 days: a Biblically significant number! Since then, Mother of Life has continued to help the unborn. Last year alone, it served 869 clients. 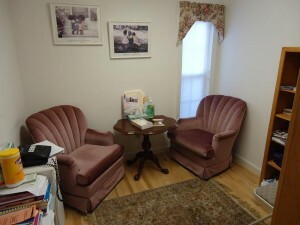 Besides counseling against abortion, the devoted staff provides healthcare referrals, material assistance, and instruction on pregnancy, birth, and child-rearing. Every abortion-minded woman is also invited to receive an ultrasound from a state-of-the-art GE machine, purchased with the help of the Knights of Columbus. Maintaining such a vibrant organization is no easy task. Mother of Life is independent of the diocese, and with expenses totaling $200,000 per year, the need for assistance is never ending. And then there is the general and ever-present difficulty of wrestling with the culture of death, which is strong in liberal Rhode Island, despite the state’s large Catholic community. 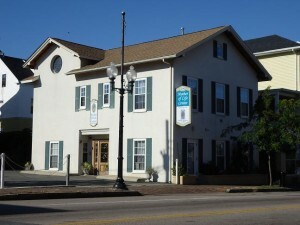 Visit the Mother of Life Center at http://www.motheroflife.org.